Tiny Tykes (4-6yrs old) – Our Elite Karate Classes for Children. In order to truly master karate techniques and philosophy, it’s important to start early.Our teaching focuses on balance, coordination, discipline awareness and positive attitude. We want our students to remember that winning is a great accomplishment, but losing is a part of life and the most important thing is to be able to give one’s best. Children will start learning the basics of karate techniques through little games and fun training. The class time is 30mn. Enrolling your child in a Karate program will indeed be an exciting time. The uniforms, preparation, and the practice, will be things they look forward to with each class. In the background, kids will develop confidence and will learn not to confuse this with a false sense of security. At this young age, it is important to focus their activities towards using their skill in a controlled environment. Fighting with other children outside of the program is discouraged. Our Kids Karate classes will focus on basic skill and children will strengthen their ability to listen. Though this skill develops over time, it’s importance will be emphasized during each class. They will learn how rewarding it can be to follow instructions as they move up in rank. Listening will quickly become second nature after only a few lessons with Cali Karate. The physical benefits of Karate practice through kicking, punching, blocking, running, jumping, etc. Each class will encourage a healthy lifestyle in a fun environment and will help the practitioner become well rounded athletes. 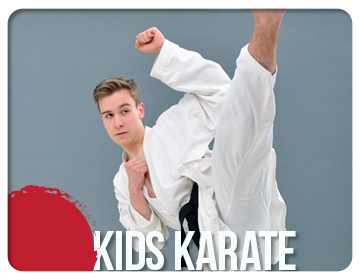 Kids who practice Karate are polite and kind but also strong physically and mentally. Karate practice at this age will help them to become successful in their adult life. This program will focus on teaching traditional shotokan karate. We will focus on passing over the knowledge we received from Sensei Kase and Sensei Nishiyama both students of the founder of shotokan karate Gichin Funakoshi. 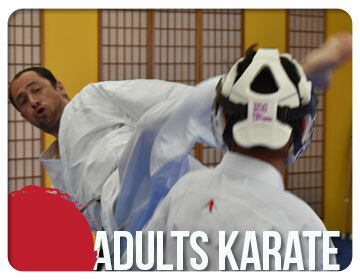 Training karate benefits practioners on a physical, mental, and spiritual level. Karate is also a self-defense system focusing on powerful striking techniques. Its ultimate goal lies in seeking the perfection of one’s character by training in martial arts. We welcome you to try Cali Karate today! The newest North County Martial Arts programs in Vista CA. That’s right, our Grand Opening in 2018 has been exciting. Click or Call us! You are never too you young or too old to learn how to defend yourself successfully. Take a look at this rolling kick by a petite female! We will give your kids the confidence and skills to protect themselves from bullies and also help your children learn the skills they need to stand up for themselves before abuse becomes physical. Our kids Krav Maga program will help instill confidence in your children. It is the first official Kids Krav Maga program in North County – training program is under International Krav Maga. Crime is increasing across the country. The modern streets are a dangerous place to walk for kids to adults. People are starting to take their safety seriously and looking for a way to defend themselves. They are learning the art of self-defense. One form of self-defense that is very effective is Krav Maga training. This is street self defense that is very practical for today’s modern world. A number of people have heard about this type of self defense tactic. Some have probably seen the demonstrations on the Internet or on television. Krav Maga San Diego teaches a type of self defense that started in the Israeli army. Benjamin Halcewicz trained with some of the top leaders in the self defense tactic, including IKM founder Gabi Noah. 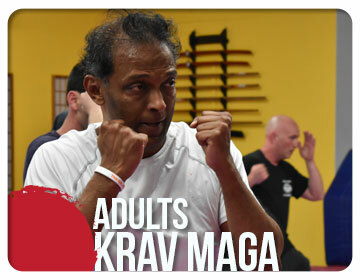 Krav Maga classes are easy to learn for the beginner or experienced. The students who take the classes develop a new type of self-awareness about their abilities. They also learn the best method to handle a number of dangerous situations that include weapon attacks. The course encourages using methods that are quick, efficient, and aggressive. The most important fact is that the course will teach the student how to react quickly. Thus, limiting the chances of them becoming a victim.